Water quality as in nature is highly important for the animals as well as the plants in an aquascape. Tap water has been known to contain problematic substances like heavy metals (e.g. copper) in too large a quantity, or may be treated with chlorine. Fish and shrimps will not do well in such a water, and many aquatic plants will grow poorly under these conditions. In these cases, a water conditioner may help as it binds heavy metals in the water, thus rendering them harmless. 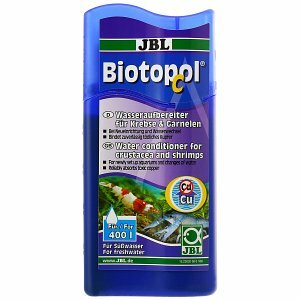 In addition, a water conditioner removes chlorine and creates a favourable environment for fish and shrimps. Tap water can contain all sorts of unwanted substances that have no business in an aquarium. Chlorine, for example, which is used by some water suppliers to combat bacterial contamination of tap water, not only damages fish, crabs, shrimps and snails, but also aquarium plants. Copper from the pipes can be lethal for dwarf shrimp in soft aquarium water with an acidic pH value, even if the copper content is still below the detection limit of the tests commonly used in aquaristics. Silver, which is also often used by the water suppliers as a disinfectant, is also a powerful and lethal poison for dwarf shrimp. Zeolite-based water conditioners such as those from ADA, Easy Life, Dennerle or SaltyShrimp are used to bind heavy metals, chlorine, medication residues, ammonium and other undesirable substances in the water on a physical basis. These bonds are very stable. The particles are gradually deposited in the filter and in the substrate and are removed during sludge extraction or the next filter cleaning. Zeolite-based water conditioners can be recognized by their whitish and very cloudy appearance - this is due to the fine zeolite particles. Always shake well before use! After the water conditioner has been added, the aquarium water becomes cloudy at first, but turns crystal clear after a few hours. Chelate-based water conditioners have a slightly different effect. Here the pollutants are chemically bound. They do not sink, but are simply removed or diluted at the next water change. Chelating water conditioners can be recognized by the fact that the liquid is transparent. They also reliably bind chlorine, heavy metals, medication residues and other pollutants. 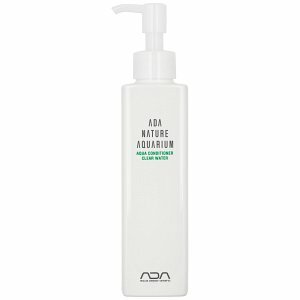 Here in the online shop of Aquasabi you will find water purifiers of well-known brands like ADA, JBL and Dennerle. Chemically and physically working water conditioners should always be applied with a time delay for fertilization so that the nutrients that have been added with great effort are not immediately eliminated. You can find an overview of all the new ADA water conditioners here: "ADA water conditioners". If the problem of having unwanted substances in the tap water is to be avoided completely, the use of osmosis water or demineralised water is recommended. This water is practically pure and contains no minerals at all - making it unsuitable for pure use, too. 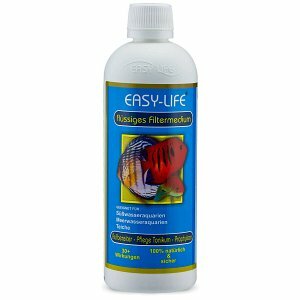 With a corresponding mineral salt in solid or liquid form, for example from SaltyShrimp, Dennerle, Drak or Preis Aquaristik, you can easily and comfortably bring this so-called zero water to the desired values. 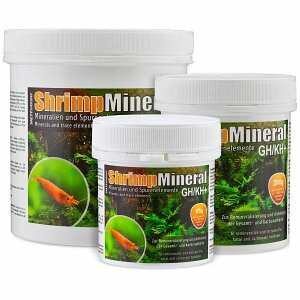 There are products for shrimps and fish from soft water environments (often recognizable by the GH+ in the name - here only the total hardness is increased) and products for aquarium animals that would like to have the water a little harder (you can recognize them by the fact that GH/KH+ is written on the package - these mineral additives increase the carbonate hardness and the total hardness). To regulate the pH value, you can also buy appropriate additives from JBL, Seachem and ADA here in our shop. You can read more about the exact regulation of the pH value in our Wiki article Lowering the pH value. 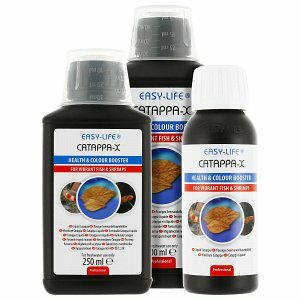 If you want to specifically remove unwanted high concentrations of substances such as nitrate, phosphate or turbidity, you will also find what you are looking for here in the online shop. 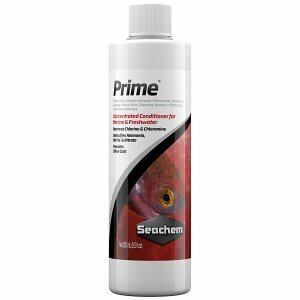 We offer products by Seachem, Do!Aqua and ADA, which have proven themselves suitable for these tasks, especially in aquascaping. The humic substances occurring in all natural waters in more or less high concentrations are eliminated during the treatment of tap water and are therefore naturally also absent in osmosis water produced from tap water or demineralised water. Especially in fish- and shrimp breeding, it has proven useful to add humic substances and tanning agents to the water in the aquarium again. In our online shop you can buy humin additives of the brands SaltyShrimp, GlasGarten, ADA and Dennerle. 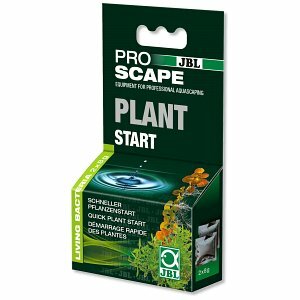 In this shop category you'll find plant starters, liquid CO2, bacterial additives with herbal extracts and other mineral additives which supply your aquarium animals as well as the valuable and useful biofilms in your aquarium or aquascape with trace elements. The biofilms are so useful because they contain bacteria that purify your water and keep the bacterial flora in the "good" range.